Attorney George T. Campbell fights for his clients with every breath in his body. Turn to an aggressive advocate prepared to stand up for you. For more than 25 years, Manchester Criminal Defense Attorney George "Skip" T. Campbell has been a trusted name for premier criminal defense, dedicated personal injury advocacy, and skilled civil litigation. His rigorous experience, preeminent legal abilities, and reputation for excellence among the New Hampshire legal community all set him apart from other defense attorneys serving Bedford and the surrounding areas. Considering his successful track record defending our clients against serious DUI, misdemeanor, felony, domestic violence, and other related charges in state and federal courts, rest assured that you'd be placing your confidence in an attorney who gets results. Judges and prosecutors he has worked with throughout the state know that he delivers on what he says he will do. As a result, whether it has to do with a criminal charge or a personal injury matter, George Campbell has succeeded at making what might seem impossible, possible. Whether you have been accused of theft, robbery, a homicide, fraud, sexual assault, or a white collar crime, you deserve a chance to plead your case before the court of law. 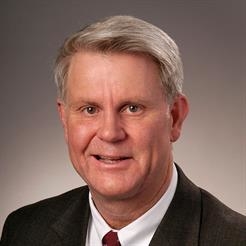 Attorney George Campbell has a reputation as one of the highest rated DUI defense lawyers in Manchester. He can handle all aspects of a DUI or criminal defense case on your behalf. He also helps personal injury victims hold negligent individuals responsible for any harm that they have endured. Whatever related legal issues you might be dealing with, Attorney Campbell and his team would be happy to help you in any way possible. Schedule a free consultation with Attorney George T. Campbell to discuss how we can help. Call (603) 787-5364 or contact us online. Attorney George Campbell has a reputation for providing the highest level of criminal and DUI defense in Manchester. Take a stand for your freedom. Get in touch with Attorney George Campbell to discuss next steps for taking legal action. In addition to criminal cases, he also handle personal injury and civil litigation matters. George Campbell invites all his clients to his office for a free, 1-hour consultation. He has over 23 years of experience. of the best DUI lawyers in the state.